Shropshire Squash County Closed 4th & 5th May 2019. Shropshire County Junior Closed Championships – 15 Dec 2018 – Results. Shropshire County Junior Closed Championships for 2018 Saturday 15th December Please see attached poster for further details. 2018-19 Season Racketball (Squash 57) League & Cup Fixtures List. Welcome to the Shropshire Squash (and Racketball - Squash 57) website. Please navigate around the site for all the County Squash news and League / Cup information. Shropshire Squash League 2016-17 Season. 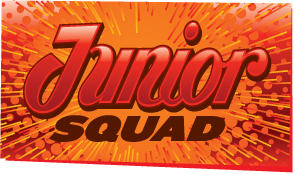 The squad provides a structure to develop juniors skills and provide a pathway to competing in Junior County Closed Competitions, Junior County Leagues, Inter County Teams competing in the England Squash Inter-County Championships and other England Squash Junior Competitions.